We thought you might enjoy the 6 most popular Sequim real estate articles of 2018 on this blog. With over 2,000 real estate articles written specifically for buyers, and with readers for a decade from all over the Unites States and even Europe, this is the largest real estate blog with the largest outreach to buyers in the Sequim, Washington market on the beautiful Olympic Peninsula.. These are real estate articles that have been read and enjoyed by many of our new Sequim retirees, and since these articles were so relevant for them, you might also find them relevant for you in 2019. Here they are for your reading pleasure. Article #1: The Sequim Bell Curve: Sequim Homes Hard to Find. This article has been popular for several years because it paints a clear picture of what you are up against when you buy a home in Sequim. Article #2: Homeowner Associations have always been an emotionally charged topic, and that’s unquestionably why this article was hot in 2018: Homeowner Associations: Nightmare of Nightmares. 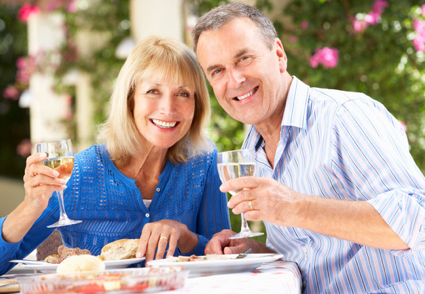 Article #3: Since Sequim is such a popular retirement community for couples in their 50s and 60s from all over the United States, it’s no surprise that real estate articles about retiring in Sequim would be popular. Perhaps the fun video that we created for this article is also part of why it is popular. 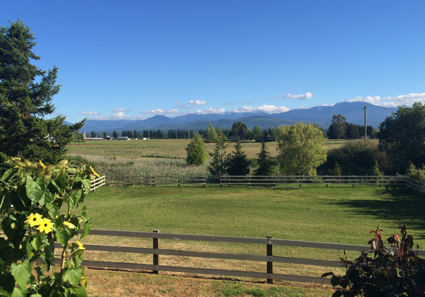 Why Retire in Sequim? Article #4: Who doesn’t want to know what the future holds, especially when it comes to buying your retirement home and your retirement account on Wall Street? Last October I wrote an article entitled, Is There Another Real Estate Crash Coming? Maybe it feels better to only focus on positive news, but wisdom does tell us to look at contrary news so we won’t be blinded by false notions of the future. This article is worth reading, even if you find yourself disagreeing with it’s analysis. Article #5: I Need a Buyer’s Agent to Draft an Offer. Do you need to draft an offer now on a home that just came on the market? You know there is a sense of urgency in this market with such a low inventory and high demand, but you want to make sure you do everything right, and you need a Realtor who can help draft an offer today. Article #6: Winning With Competing Offers. Competing offers on a listing do occasionally come in on the same day, and I’ve written about multiple offers, but one of my clients reminded me that sometimes it is about more than just the price. Why Are People Leaving California? I think people have been asking this question for several years as the mass exodus of the middle class from California continues. The reasons for leaving California have grown, but the list is getting longer and longer, and this comes not from my little head, but from the mouths of long time California residents moving the Sequim area. They all give the same laundry list of problems that compelled them to be part of the exodus leaving California. John Wayne is one of the original Californians, and who doesn’t love John Wayne? He had some thoughts about California’s issues. I think this short video interview of John Wayne was actually taken on his boat in Sequim Bay at John Wayne Marina. Finding your Sequim primary care provider may not be the easiest thing you do. I certainly don’t have to tell my readers, who are in their 50s and 60s and entering the next big phase of their lives–retirement, how challenging it is to navigate health care decisions. You must have a Sequim primary care provider to get general care, and you must have a Sequim primary care provider to get the required referral to a specialist. Most Sequim primary care providers are not accepting new patients now, and of those who are, some are requiring a monthly payment (like $80) just to be on their list of patients. And then there are high medical insurance premiums and the cost of prescriptions. Who made this gigantic mess of our healthcare system? The answer to that question is well above my pay grade, but what I can do in this article is give you a list of primary care providers. 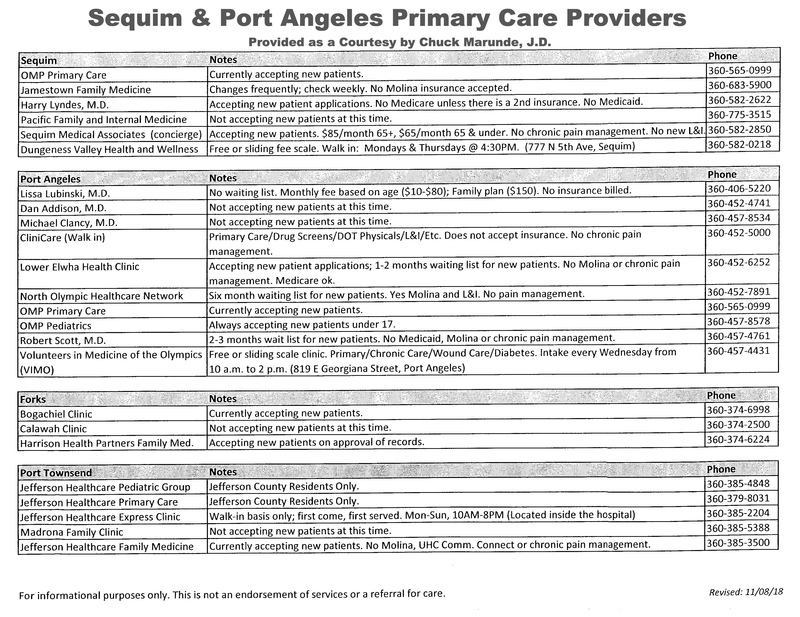 Here’s a list of all the Sequim primary care and Port Angeles primary care providers with their phone numbers and whether they are accepting new patients and what they require. You can click on this image and see the enlarged list. I suggest you either bookmark this article for future reference, or you may prefer to print this list as a hardcopy. Some doctors do not accept some insurance companies, so that will necessitate more due diligence on your part when you’re planning for your long term health care. 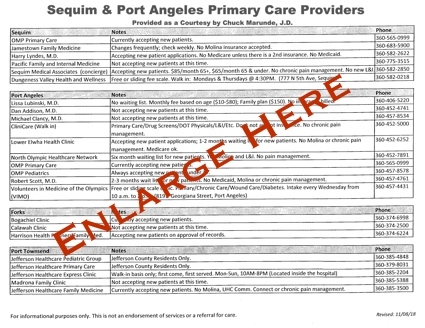 Port Angeles is only 15 miles from Sequim, so I have included the list of all Port Angeles primary care providers on this list, too. If your insurer requires that you see a doctor outside Sequim, you may have to expand your search to Poulsbo, Silverdale, Tacoma, or Seattle. These options are not so bad, since they are anywhere from a half an hour to two hours from Sequim. Unless you see a doctor every week, a short drive for an hour or so is not so bad. If you have lived in a place like Phoenix, every place you need to go is a 45 minute drive. I hope this list of Sequim primary care providers is helpful as you plan your retirement to Sequim. And if I can help you find a home as your buyer’s agent, that would be great. 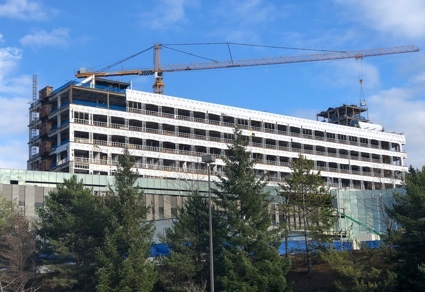 What is the state of Sequim healthcare? This should not be a hard question to answer, but it is. It’s a hard question to answer anywhere in the country now. Are doctors accepting new patients? Will your insurance be accepted? What if you’re a veteran? 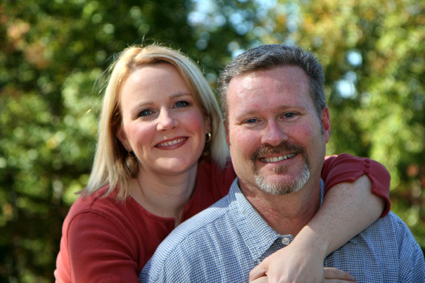 What is the quality of Sequim healthcare? There are many questions. 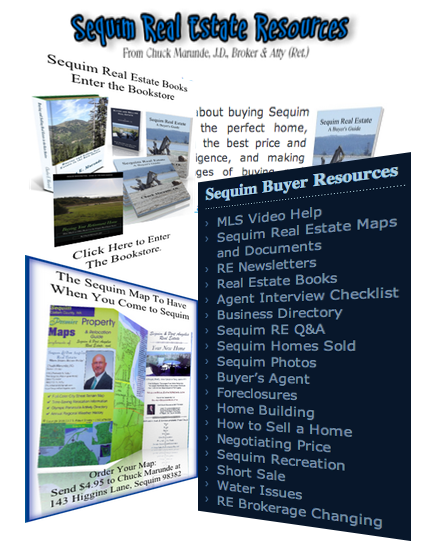 Since I enjoy writing to help buy Sequim home buyers (I have over 2,000 articles online and over a dozen books), I thought I would write a short eBook about the state of Sequim healthcare, but I could not find the information to write the book. The chaos in the industry overwhelmed me. I called various doctor’s office, and have done a lot of online research, and I’ve been a patient myself a few times over the 24 years here, but as experienced as I am at pulling together data and making sense out of it, I could not on the subject of Sequim healthcare. This does not mean we don’t have good Sequim healthcare, good clinics, and good doctors. It just means between the medical profession, the pharmaceutical industry, and the Federal regulators, the answer to all your questions is likely to be “caveat emptor,” or “buyer beware.” In other words, you have to do your own research. You may think me cynical, but may I suggest you don’t take for granted everything you’re told by the pharmaceutical industry? “The average elderly patient is taking more than five prescription medications; the average nursing home patient is taking seven medications.” [Source: MD Mag] Unbelievable! I appreciate the many independent medical professionals who do helpful educational videos that we can watch free on Youtube, and this one is very interesting and revealing. Do your own research, but one thing I think we all need to realize is that we are each responsible for our own health and whatever Sequim healthcare we seek out and get. Retirees have their own checklists for what they want in a community. Having practiced law in Sequim for many years and having working with hundreds of retirees moving to Sequim as a real estate broker, I know what that checklist looks like. Retirees want a mild climate, a peaceful place to live, low crime rates, affordable housing, and good Sequim healthcare. Sequim has all this and more, but with respect to Sequim healthcare, you’ve got to do your own research based on your personal healthcare needs and your insurance coverage. You will need to check with your insurance carrier, and you’ll need to call some medical offices to see who is accepting new patience and under what conditions. One doctor in Sequim charges $80 per month just to be on his list of patients. I understand he is using excessive fees to filter out clients and manage the number of patients he takes, but I do not appreciate the fact that he uses money against many who cannot afford good healthcare while getting very wealthy himself. What happened to the three learned professions (medical, law, and the priesthood) where they actually felt a calling to serve and help others more than their greed for money? Oops, that wiped out at least two of those professions, and I don’t think I’ll touch the third one. 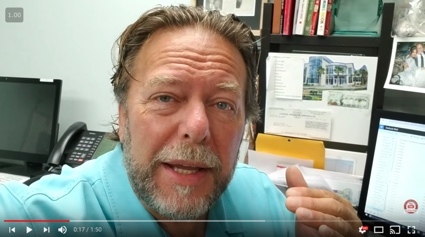 While my clients are buying homes in Sequim, nearly all of them ask about the state of Sequim healthcare, so for the first time in all these years I thought I would address it, at least on a minimal level. I wish I could write a complete book that summaries it all, but I think you’ll need to do your own research on the subject of Sequim healthcare. Sequim crime rates are extremely low, and those of us who have lived in Sequim for decades know this. It’s not easy to prove, because the Internet websites that purport to compare Sequim crime rates with other cities do not have accurate data. I went to the Sequim police department and asked if our Sequim crime stats are posted anywhere on the Internet, and the answer was that they are not. Where are the Sequim crime rates? They are on paper files in the police department, and not compiled and posted anywhere on the Internet. Don’t believe the Internet on Sequim crime rates. But there is a place where you can see current crimes committed. 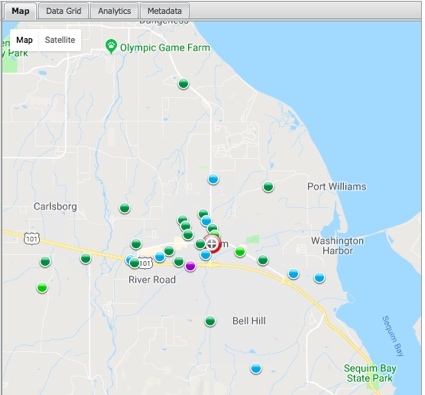 What we do have in real time on Sequim crime stats and Port Angeles crime stats is a map that you can view online showing crime locations and specifics about the crimes. When you open up this map, and you can do that by clicking on the image above, you can then put your mouse over a circle and see exactly what happened. This is a great map for this purpose. 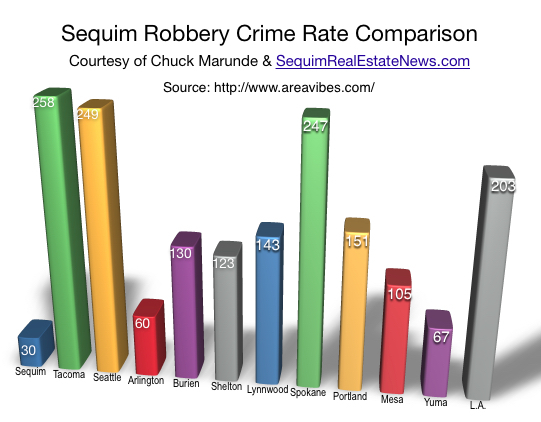 Low Sequim crime rates is one of the reason so many of us love Sequim. We do have crime, but not nearly as much or as serious as the metropolitan areas or even the bedroom communities outside of Seattle, Tacoma, and Olympia. I think you’ll appreciate this Sequim crime map, and you might want to bookmark it. I love Sequim, and I’ll tell you exactly why. I was a JAG in the USAF based at Nellis AFB in Las Vegas, and my children were young. My oldest boy was graduating from 7th grade, and it was a tough school year. Some of my son’s classmates were beat up, stabbed, and shot. One died. The gangs were moving into Vegas from Los Angeles, and illegal aliens were everywhere. Car and house thefts were high, and personal safety became a serious issue for me and my family. In 1994 I found Sequim after doing a lot of research to find a safe place to raise my children. I wanted a rural area with low crime, traditional values, outdoor activities, and a mild climate. Sequim was the winner by a long shot. That was 24 years ago, and I’m still here. I love Sequim. I live on 2.58 acres, but it is owned by my dog. Apparently, he thinks it is his Kingdom, and he watches over his Kingdom like a hawk. He actually catches mice once in a while. I’ve never had a dog that can catch mice, so he’s smart and fast. He’s half doberman and half black lab, so he is intelligent and happy. He also likes to eat an apple a day from my apple trees. I asked him to pose for a blog photo, and he enthusiastically agreed. Living in Sequim grows on you. Everyone I know who lives here for a long time, says “I love Sequim,” and they also say, “I’m never leaving Sequim.” Why do people talk that way? The thing about living in Sequim is that there aren’t just half a dozen things that make it so great. There’s more like a hundred little things, and the longer you live in Sequim, the more you love Sequim. By the way, my three boys and my daughter are all grown up now, and they all went through the Sequim school system. The best decision of my life was to move to Sequim for the sake of my children. They were safe, and the school system is one of the best in the nation. They were not exposed to all kinds of evil as they would have been in most metropolitan areas of the country, and they have grown up with traditional values. I love Sequim. You might enjoy some of the reasons I love Sequim. Years ago I wrote several articles listing the reasons, and here is the first article with 25 Reasons Why I Love Sequim. Here’s John Wayne Marina in Sequim coming into the marina from a very pleasant tour of Sequim Bay on a McGregor owned by Kevin Elders. What an incredible day. The temperature was about 70 degrees, and believe it or not the water temperature in the middle of the Bay was actually 60 degrees. Unbelievable! Don’t tell anyone, but there was hardly anyone else at John Wayne Marina on this day. Here we are in Paradise in one of most temperate even climates in the world where Sequim is known to have the famous Blue Hole or the Rain Shadow because we only get 16 inches of rain each year compared to Seattle’s 45 inches, and hardly any human beings are taking advantage of this. This is incredible. If southern Californians knew about Sequim and about John Wayne Marina, they would get the heck out of crazy land and get to Sequim as soon as possible. But wait, maybe we don’t want the world to know how incredible it is here. Hmm. Well, I’ll share this with you, but don’t tell anyone else. John Wayne Marina is not only ideally located in protected Sequim Bay, but the facilities are top notch and there are hardly any lines to launch your boat, if you don’t have a slip in the marina already. The restaurant has some amazing sea food, steak, and the coffee is very good, too. I’ve lived in Sequim for 23 years, and John Wayne Marina is one of my favorite hangouts. There is a mass exodus of middle class and wealthy people from California, and they have been moving in large numbers to the Northwest after doing their due diligence on where the best places to live in America are. I know this because I am a Realtor in Sequim, Washington, and more people move to Sequim from California than any other state. I’ve been asking Californians for a couple of decades why they are leaving California and why they choose Sequim. I stumbled upon a video that explains in plain language what hundreds of Californians have been telling me for over 20 years. By the way, I don’t consider myself a Republican or a Democrat, so don’t be put off by the title of this video. This video does not express my views, because I don’t live in California, and I have no idea what it would be like since I’m not tuned into the politics of the State. But this video expresses what about 97% of all California buyers in the Sequim area have been telling me. Also, I’m not interested in the politics that are represented by the person who produced this video, but I am interested in the financial statistics he provides, which are the reason people seem to be leaving California. It’s fascinating, but sad. California seems to be chasing the most extraordinary people away in droves. Having said that, I am very pleased to welcome you to Sequim and to help you find your retirement home. Housing prices here are not low, unless you compare them to California housing prices. You can look at homes in the Sequim and Port Angeles area by going to the best Sequim MLS site in the area, and you can always email me or text or call for more information about any homes you see. I hope I’ll see you in Sequim. Thanksgiving in Sequim is a wonderful time. All the way through the Christmas holiday is wonderful in Sequim, although it can get cold, even below freezing. Believe it or not, I’m showing houses and land throughout the holidays. I’ve been busy coordinating transactions that are closing before and after Thanksgiving day, and I’m showing land on Saturday after Thanksgiving. 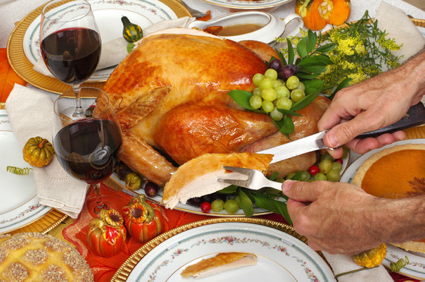 Thanksgiving in Sequim is more than a once-a-year celebration. Many of us in Sequim give thanks every single day we live here, and there are many reasons to do so. Here are 75 reasons Sequim is so wonderful: Why Sequim is So Wonderful. You’ll notice the article says “100 Reasons,” but there are only 75. That’s because I’m still working on the other 25. You can submit your suggestions to me for the other 25 by email at chuckmarunde@gmail.com. I’m not kidding when I suggest we have reasons to give thanks every day. I do, and I’m a very happy person. There’s no question that having a positive mental attitude and focusing on the good things in life brings psychological, emotional, and spiritual health to a person’s life, business, and relationships. I hope your Thanksgiving is full of joy, whether you spend the holiday with a huge family and a table full of food, or spend it entirely alone eating a simple but healthy meal. May you be blessed this Thanksgiving holiday and every day. Sequim Resources for Buyers is a better way of organizing a tremendous number of valuable tools for buyers. Because this site and the tools created here are always being improved for buyers, it became obvious that there had to be a better way to help buyers find these resources easier. You will now find a tab at the top of the Blog called “Resources for Buyers.” This includes some of the primary resources available with links directly to each of them. And . . .
You’ll find a new list of “Sequim Buyer Resources” that will always be up-to-date in the right margin of this Blog. These great links have been online for a while, some of them for years, but great tools are only great if you can find them. 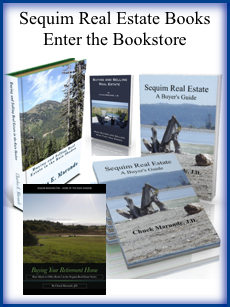 You’ll also find a newly created page with all of Chuck Marunde’s Sequim real estate books in this list of Sequim resources. And we have a new tool for buyers added to the list: a new Sequim map designed exclusively for Chuck and only available though Sequim & Port Angeles, LLC. I strongly urge you to go though each tool in the Sequim Buyers Resources list so you can find the tools that you feel will help you most in your home search. Enjoy these tools, and if they are helpful, please let us know. 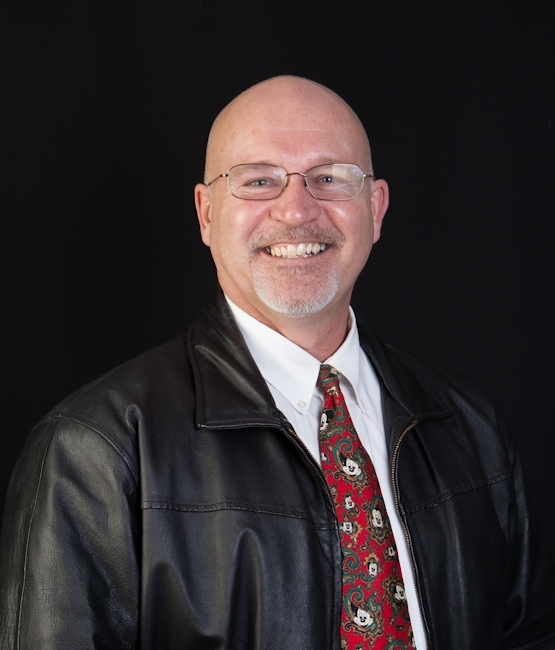 Chuck Marunde never stops creating valuable Sequim resources for buyers. The Sequim area is extremely popular for retirees from around the U.S. from Florida to Alaska, and from New York to California (and Hawaii). 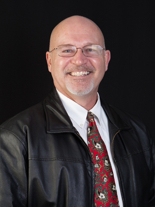 I have represented buyers from over 35 states who have bought their dream homes in the Sequim area. Thank God for the Internet, because you can do so much online research on Sequim and the entire Sequim area. The purpose of this article is to share more about the Sequim area and to help you focus on exactly where you want to live. Is the Sequim area where you want to live? This is a key question, because before you decide to look at homes, you should already have decided on where you want to live. Okay, there’s nothing wrong with looking at some homes in an area you might like so you can get a feel for the homes available in that area, but the priority is choosing your retirement area first, and then shopping for homes in that area. The perfect home in the wrong area would not be good. The larger Sequim area consists of Sequim, Carlsborg, Port Angeles, Port Townsend, Port Ludlow, Port Hadlock, and further south Quilcene and Brinnon, and a little to the southeast, Chimicum, Nordlund and neighboring towns. Sequim is the center of what I am calling the Sequim area. 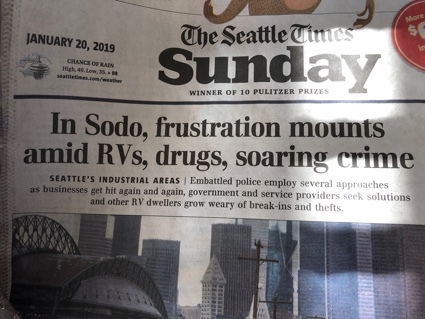 That’s because Sequim is where you find the major shopping and medical facilities (including the hospital in Port Angeles 15 minutes away), and Sequim is the dream retirement area because of the “Blue Hole” or the “Rain Shadow” and the perfect climate. 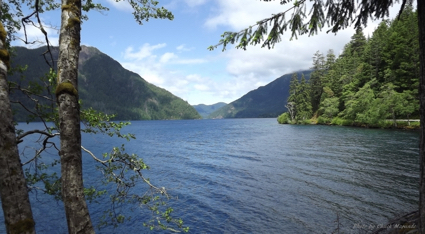 Many find the Sequim area to be the ideal location for the ultimate quality lifestyle. Port Angeles is a larger population, but it also struggles economically with no apparent vision or long term purpose. The leaders of Port Angeles have not defined a vision in half a century, and the good people of Port Angeles are paying a dear price for such a dreadful lack of leadership. The real estate market is substantially weaker than the Sequim real estate market as a result. Port Townsend is a great town, and there are some beautiful homes there. But there are also some very odd homes there. While Port Townsend is a fun town with some of the best little family owned restaurants on the entire Olympic Peninsula, it is also well known as one of the most liberal towns in the Northwest. Locals joke that the 60s hippies from Berkley moved to Port Townsend. Political views, dress and lifestyle preferences would tend to affirm the liberal bent. If you’re liberal, this is all positive news, but if you’re a strong conservative, this may not be such great news. Port Ludlow and Port Hadlock are quaint little communities, but like Nordlund, Quilcene, and Brinnon, most retirees consider these areas to be a bit remote and far removed from shopping and medical facilities. But if those issues do not concern you, you might find your piece of Heaven on a gorgeous little bay where the fishing and boating are great. Here are three great free online resources for you. The first is Sequim Listings online. 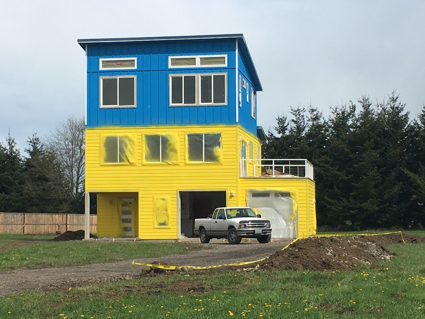 Don’t bother with Zillow, because it is not nearly as accurate as this Sequim Listings site. The second great site has over 2,000 articles written specifically for buyers looking at the Sequim area, and you’ll find that site at Sequim Real Estate Blog. And the third MLS site is for all the listings outside Sequim, including all the little towns I mention as well as all the islands from the Olympic Peninsula to Seattle’s shoreline. That site is Island Homes for Sale. If you need help narrowing down your choice in the Sequim area, you’re welcome to ask me questions on almost anything. I moved to the Sequim area 22 years ago, and I spend all my time looking at homes and exploring all of these areas I’ve mentioned. Now you know more about the larger Sequim area. It’s another day in Sequim, and I am loving it. 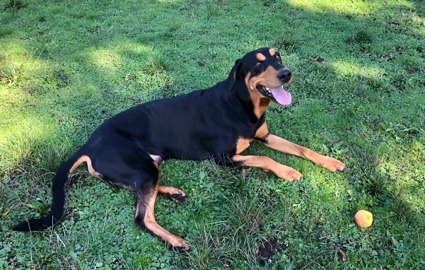 This morning I awoke early and enjoyed a cup of coffee and some fresh air on my Sequim property as I walked around my two and a half acres with my dog, Titus. It was a chilly but invigorating morning, and as I always do, I deeply inhaled the pristine air that gently blows across my property directly from the ocean (or the Strait of Juan de Fuca which becomes the Pacific Ocean). The sun was rising and I felt like I was looking at a painting as I looked south to the panoramic view I have of the Olympic Mountains. Bright rays of sun glistened through the trees across my property, and the fields and trees in the distance were beautiful with autumn colors. The sun was still rising, and the bright snow capped mountains really did look like a gorgeous painting. But it’s just another day in Sequim. The lower water level in the irrigation pond on the southern end of my land is showing signs that winter is coming. As I sipped on my hot cup of gourmet coffee, leaning on the white fence built by the prior owners to keep horses, a flock of geese flew over my head singing that winter is coming in their own cacophonous way. Another day in Sequim. By mid-morning it was already 47 degrees. Winters are mostly in the high 40s and 50s, and summers are mostly in the 60s and 70s. I jumped in my car and checked on a brand new condominium unit I recently sold to some clients, and after that I stopped at Starbucks for a double short latte extra hot and a blueberry scone. Savoring my scone and coffee, I couldn’t resist writing this article expressing my delight with living in Sequim. I love it here, and I have for 22 years. But then again, I count my blessings every day. Sequim is a happy place to live. I could go on and on about Sequim and what an incredible climate we have, what it’s like to live in one of nature’s most beautiful places on the face of the earth, or I could talk about how safe it is to live here, how there is very little traffic . . . ever . . ., and I could go on an on about the delightful and interesting people who live here. But I won’t. I’ll let you search out articles on these subjects on this real estate blog, and there are over 2,000 such articles. For now, I just want to say, “It’s another day in Sequim,” or as I often say to myself, “Another day in Paradise.” Same thing. “Sequim WA” is a hot search phrase for thousands of Californians who are exiting California in massive numbers of late. Why are so many people leaving beautiful California, and why are they buying homes in Sequim WA? Photo by Chuck Marunde taken between Santa Barbara and L.A.
“Californians are being taxed to death, traffic in the major cities is absolutely horrific, violent crime and gang activity are on the rise, millions of illegal immigrants are putting an incredible strain on social support systems, and the ultra-liberal government in Sacramento seems to have gone completely insane. In addition, the state faces constant threats from earthquakes, wildfires, droughts and mudslides, so it is quite understandable why so many people feel motivated to leave and never come back.” [Source: The Exodus From California] For Californians who have had enough, Sequim WA is like the Garden of Eden. According to the IRS, over 250,000 California residents moved out of the state between 2013 and 2014. This is a massive exodus, and the implications for California are much bigger than the politicians who are guiding California down the path of self destruction seem to realize. I will be showing clients homes in Sequim WA today and tomorrow, and they are part of the mass exodus from California. They told me they purchased a lot in southern California and applied for a building permit. The application has been in processing for six months already, but they are told it will be at least another three months before the application will be approved with a lengthy list of complex and expensive conditions. California has more detailed regulations on every aspect of building than a normal person can even imagine, and the cost of compliance makes building a home in California way more than any place on the west coast, and far far more than Sequim WA. 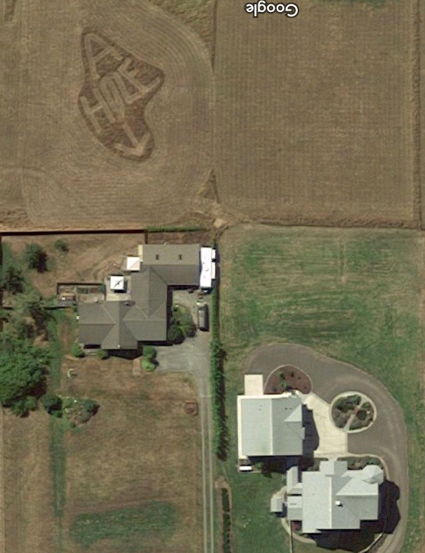 The same lot and home in Sequim WA might be 25% of its California counterpart. Once their building permit is approved eventually, it will then take 10 months to have their home built, maybe longer. These clients told me that the bureaucrats are in control in California and they are driving hundreds of thousands of people out of the state to places like Sequim WA. Maybe this process of getting a home built in California would be worth it, but not when you add all the crime, traffic, drought, immigration, and high taxes and regulations to the scale. No wonder thousands of Californians are moving to Sequim WA. My California clients call Sequim WA the land of the free. Sequim Lavender weekend was a big success as the Lavender Festival is every year. It is amazing how many people come from all over the country to enjoy Sequim Lavender. The truth is many people love to spend time in Sequim, and this time of year it is beautiful. So perhaps coming to tour Sequim Lavender farms is just a great excuse to see the area. But many who come are close to retirement, so they are checking Sequim out. I’ve talked to many people who have been planning to retire in Sequim for a decade before they actually did. I spent some time at the George Washington Inn & Estate, which includes the Washington Lavender Farm, and I was not alone. Hundreds of people gathered to get some of their own Sequim Lavender and Lavender products. The George Washington Inn sits on a high bluff with a stunning panoramic water view of the Strait of Juan de Fuca, British Columbia, and the San Juan Islands. To the south are the majestic Olympic Mountains. 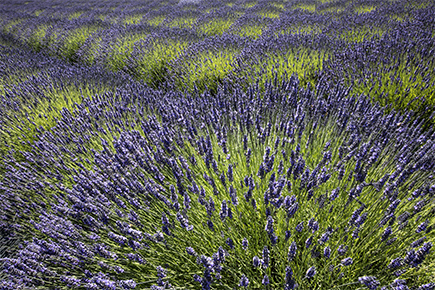 No wonder people fall in love with with the area when they come to see our Sequim Lavender. A great way to see Sequim is to stay at a Bed & Breakfast, and I highly recommend the George Washington Inn & Estate. 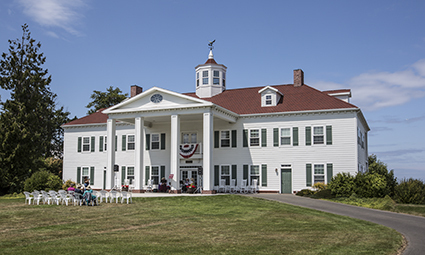 This is an exact duplicate of the original architectural plans of George Washington’s home, and the grounds are beautiful, but the rooms are absolutely delightful. You will not be disappointed. You may also fall in love with the Sequim and Port Angeles area, too. And that wouldn’t be so bad, would it? Sequim demographics have created a very stable Sequim economy and stable Sequim real estate market. First let’s talk about some of the general Sequim demographics, and then I’ll explain how they create a strong local economy. The Sequim population in 2013 was 6,669 (97% urban, 3% rural). The population changed since 2000 by a plus 53.9%. This does not include the much larger surrounding population not inside the city limits. The entire county population in 2012 was 71,863 (65% urban, 35% rural), and it was 64,525 in 2000. The estimated median household income in Sequim in 2013 was $41,432 It was $27,880 in 2000. Some of these stats are not especially easy to interpolate, so I want to add two important conclusions that add substantially to an understanding of the stability created by the Sequim demographics. The big box stores have been building aggressively in Sequim for over a decade, but they have not been building in nearby cities as far away as 50 miles. Silverdale is the next growing city, and that’s about an hour’s drive. Costco, Home Depot, Office Depot, Wallmart, Starbucks, Petco, Ross Dress for Less, and restaurant chains have been building in Sequim for over a decade, because their corporate demographic studies, which are extensive and expensive, prove to them that Sequim is the strongest area economy with the best long term growth potential. That conclusion comes from the Sequim demographics that identify retirees with steady retirement checks as strong and stable consumers, no matter what the economy is doing. There’s another important less about Sequim demographics. Retirees moving to Sequim buy a home rather than rent. Homeowners are more stable than tenants, earn more money, spend more money, and stay longer with a vested interest in the local economy. There’s no question that the Sequim demographics are part of what makes our local economy so stable. And that’s a good thing. Sequim crime rates are low compared to other cities around the country. There are two major reasons for that in my opinion. First, Sequim is two hours from the I-5 corridor, which means burglars are not inclined to drive this far to commit a crime. Rural areas like Sequim do have lower crime rates. Second, the Sequim population is largely a retired population of people who have worked hard their whole lives and are some of the most incredible people you will ever meet. My chart is focused on robberies, because robberies are one the highest areas of crime in any city. My source is a website called Areavibes.com. I wanted to include more small towns, but statistics are not available for many of them. There are many crime websites, and much of the data is not accurate, inconsistent, and scrapped from the Internet by automatic software. It is hard to find a source of reliable data that is complete in all cities used for comparison, but this data and chart show a pattern that makes the point. Sequim crime rates are very low, which also means that Sequim is a safe place to live by comparison. The data on the Internet doesn’t do justice to the reality of how low crime rates in Sequim, not only in the city, but the surrounding area within Clallam County. I’ve lived here for 20 years, and I’ve never had anything stolen, nor do I know anyone who ever had anything stolen. Clearly robberies happen in the Sequim area, but thank God they only happen in small numbers, and typically in cases where someone left a car door unlocked, or got careless in some other way. What you’ll find in Sequim is that the retired population consists of very friendly neighbors who watch out for each other, even when someone leaves town. They are kind, generous and friendly, and they are protective of their friends and neighborhors. Not only do we have few burglars (mostly teenage delinquents), but our population is like one big neighborhood watch 24/7. No wonder people love living in Sequim even after decades. The Sequim crime rate is so low. Why Sequim? America is Changing! Why Sequim? According to retirees moving to Sequim from all over America, there are some very substantial reasons they have fallen in love with the Sequim area. The obvious reasons include the famous Sequim Blue Hole or Rain Shadow, and this is a nearly perfect climate without temperature extremes. But there are many reasons. You’ll find hundreds of articles on this real estate blog that explain “Why Sequim?”, but today I want to share something a little unique that helps understand the retiree moves to the Sequim area. America is changing dramatically, and those changes are impacting where retirees chose to live. What is changing? The draughts in California, Nevada, Arizona and other southern states have caused many people to question where they live, and the serious unresolved questions about water are literally pushing people to drive north to Sequim on the beautiful Olympic Peninsula. There are many reasons retirees are asking “Why Sequim?” Weather is changing around America, water availability is a crisis in some states, state budgets are in crisis, crime is increasing, traffic congestion is a nightmare (especially in L.A.), and regardless of where you stand on the issue of immigration, that has become a driving force pushing populations in and out of southern states. Unemployment and economic problems are increasing, and who wants to even talk about the threat of terrorism and shootings in the cities? Sequim is immune from all of these nightmare scenarios, and while Sequim is far from perfect, it is . . . wait, I take that back. I think it is perfect! We have so much of what retirees dream of having in their retirement years and very few of the things they want to get away from. The Huffington Post conducted a national survey asking what it the best place to grow old and retire, and guess what little town won? Sequim. Talk to anyone who has lived in Sequim for a period of years, and you’ll find out the longer they live here, the more they love it. You can’t say that about every town in America. For more reasons “Why Sequim?”, browse some of the hundreds of articles on this Sequim real estate blog.